Developers in Singapore have come up with a solution to the problem of finding a parking space near home - for a price. 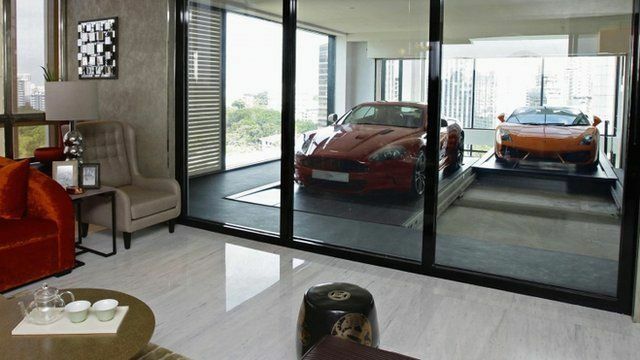 A building in the upscale Orchard Road area has one lift for residents and another which delivers their cars up to their apartments, to park right beside their living room. The most basic apartments cost $7.5m but come with two "ensuite" parking spaces, while the $24m penthouses have four parking bays.